We’d like to introduce you to a new way to prospect. We believe in using technology to build relationships, not leads. Mobile Messaging can provide an incredible way to convert your prospects into long-term relationships. Mobile is intimate yet non-intrusive. Mobile is immediate. Unlike other prospecting methods such as email, Mobile is conversational, a stark comparison to other prospecting methods such as email. 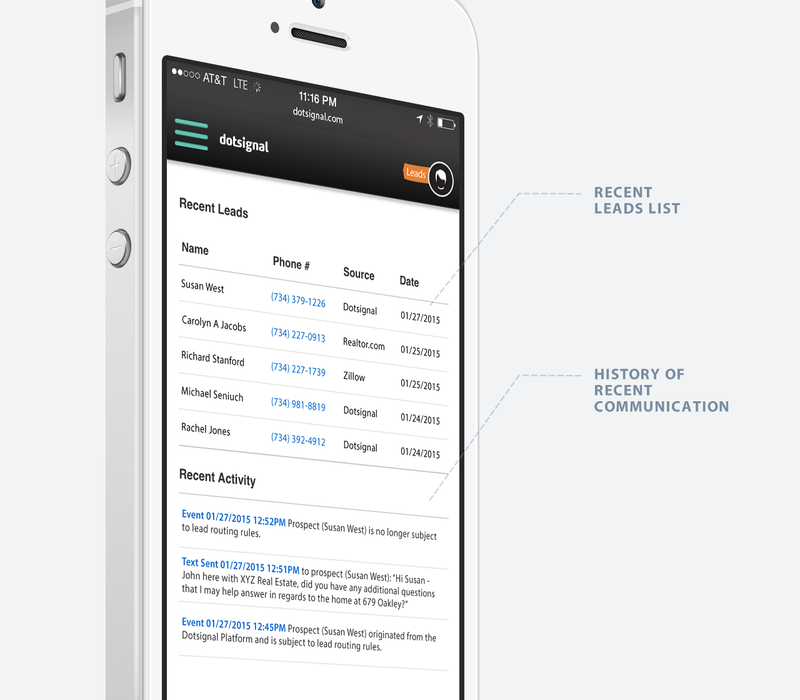 Here are a few ways Dotsignal can help make mobile an important part of your prospecting strategy. Respond immediately and with relevancy to Prospects. 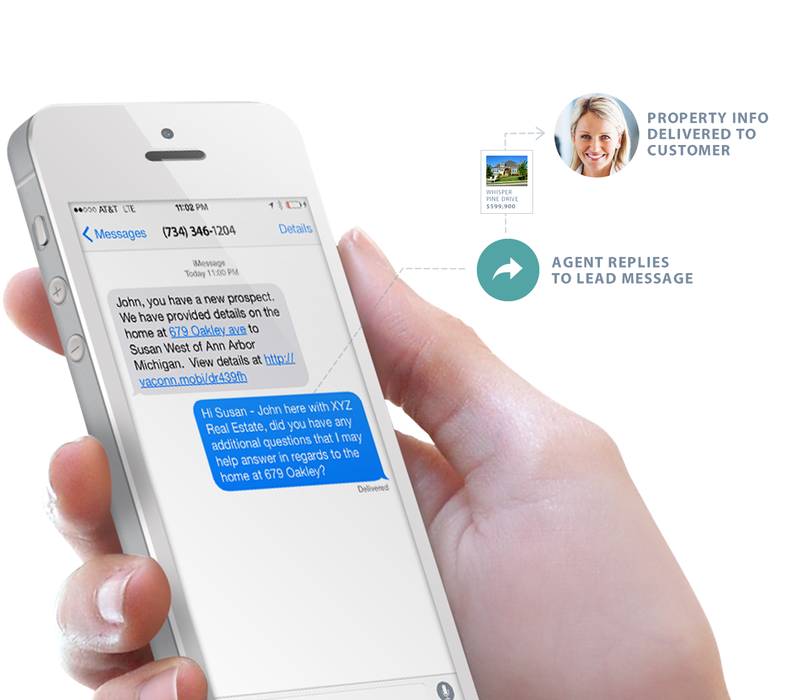 With Dotsignal Brokerage Edition, your agents can engage with a prospect by simply responding to the text message lead alert. In addition, your agents can customize the automated text messages that are delivered to the consumer when they interact with your marketing. Customized messages can act as the catalyst to a conversation with a prospect, and conversations lead to relationships. Tracking your engagement one text and call at a time. No need to save your text messages. The Dotsignal platform includes prospect management – storing the history of text messages and phone calls made between your agents and prospects. At the heart of consumer engagement is the ability to provide your prospects with relevant and valuable information. The Dotsignal Brokerage Edition provides your agents with the ability to notify prospects via text messaging of open houses, price reductions, status changes and more. 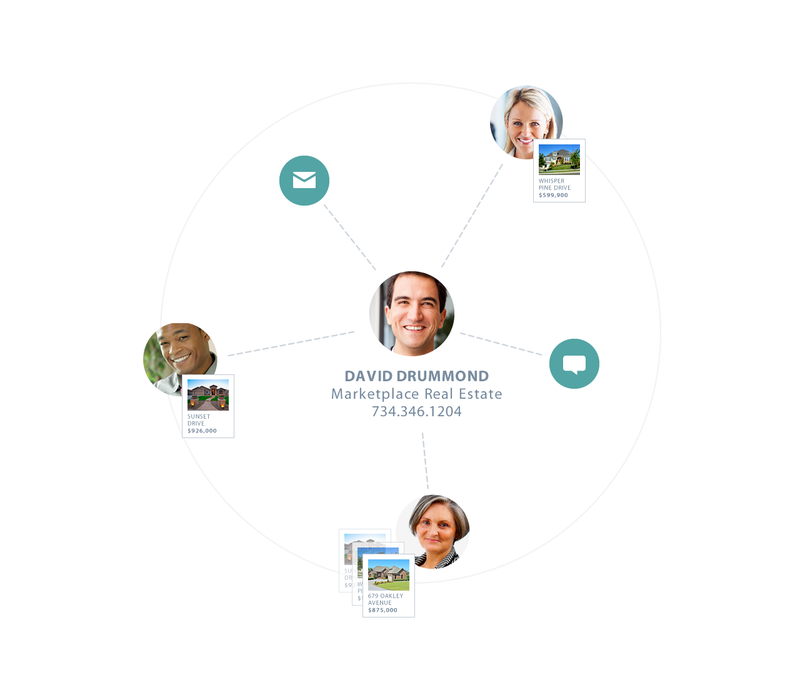 In addition, your agents can easily create search portfolios for their prospects. With Search Portfolios, consumers will receive text messages for new homes as they reach the market based on the property parameters defined for each portfolio. The best part, it’s your message not ours. When Dotsignal sends a message to a consumer on your behalf, we’re doing so in a conversational tone. 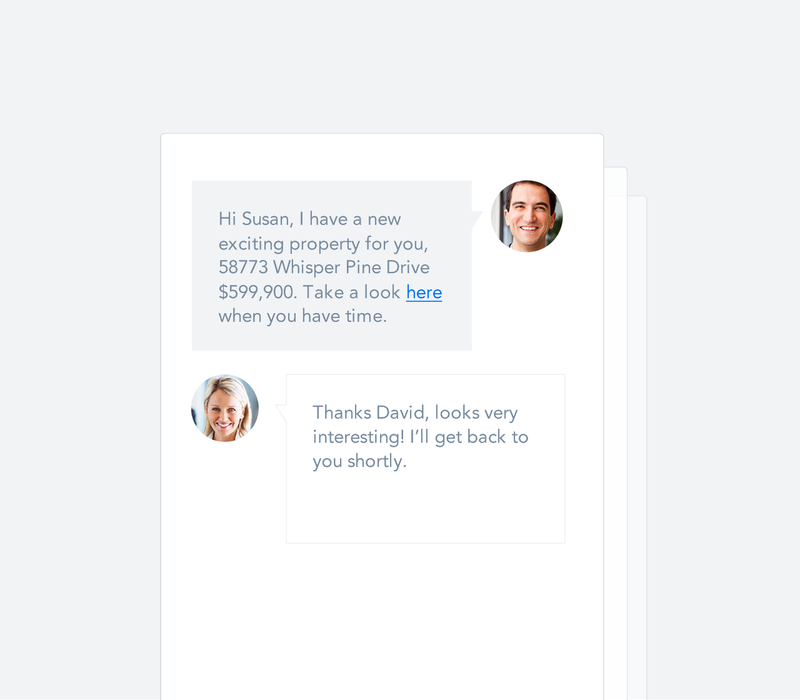 While most messages have some level of automation – the message copy will look as if your agents drafted and sent the message. Our goal is to have consumers respond with questions and requests – the catalyst to a conversation and ultimately a sale. Take your campaigns to the next level and reinvent traditional drip marketing with Premium Campaigns from Dotsignal. With Premium Campaigns, you agents can use text messaging to notify their prospects of “Just Listed” or “Just Sold” properties in their neighborhood, market reports that contain detailed and valuable information on property trends in your community, monthly property valuations built specifically to be view over mobile and more.